Register Log In A Gardeners Forum Forums Gardening in 2007 Could it be columbine? Ok, I have some columbine, but the leaves are a bit different than this. Plus, my columbine are pretty much done for the year already. 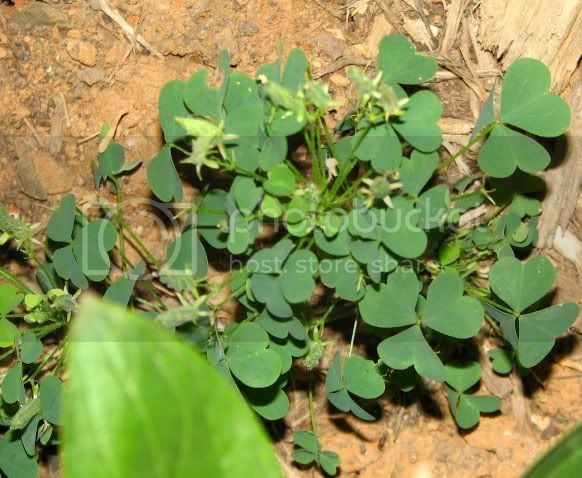 Now, I've noticed all these patches in my flowerbed, that look a bit like clover leaves, but somehow different. They are standing up more, and from almost a stem in the middle of it all. Then, there's these swirly looking buds starting to appear..
Columbine? or something else? Or just another weed that I've been pulling up all over the place..
Around here they call it sour grass. Adults always put the kids up to trying it. Most take 1 bite and spit. LOL @ Ya'll! I am *not* tasting it! I'm not Mikey! I'm not gonna try it! Weezie, you rock!! Thanks for id'n another one for me! It's kinda cute, but it's starting to pop up all over the place, so I think I'll keep it limited..
Well, I use to...until I noticed how many dogs were peeing in my yard! But, Cindy Faye, that's what makes it so tasty! Ewww I just grossed myself out! Yeah - wood sorrel, but I ain't havin' any, thanks. Just et. But now I think I will pick, wash, chew, pucker, and spit! Yeah...gotta add that "wash" now that we are all grown up! I bet dogs peed just as much back "then" as they do now! I never thought about it back then, though! lol yeah heck I thought the yellow snow was special snow! lol At least that is what I told my little sister!